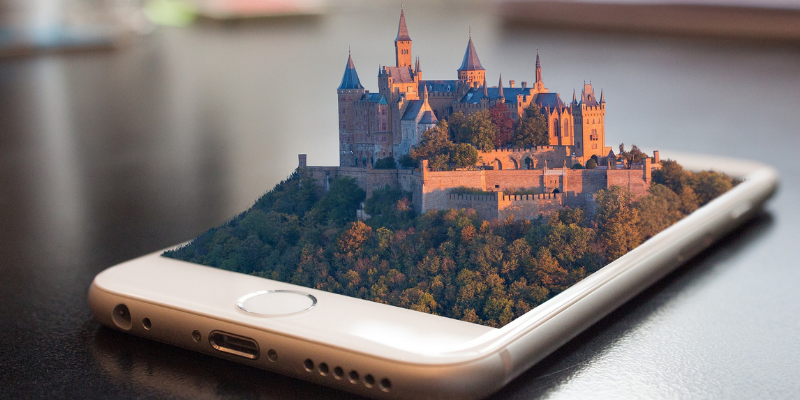 From ever-shrinking bezels to dual rear cameras that capture remarkable images in solid high-definition, there’s no stopping the advancements being made to our handheld devices. In fact, as the years keep progressing, eye-catching smartphones range from sleek and professional to just downright bizarre yet oh so fascinating. And today we’ll break down our picks for top 5 most eye-catching smartphones so far in 2018 and upcoming 2019. As a follow up to the revolutionary Pixel 2, Google is slated to release the next generation version in the form of Google Pixel 3. It’s coming out this Tuesday, after months of being drip fed unofficial looks of the anticipated product. With so much hype surrounding Google’s newest flagship phone, of course, we’d immediately include Google Pixel 3 at the very top of our list. What we know of the yet-to-be-released smartphone is fueled by rumors circulating around the internet. The company hasn’t formally announced anything about the Pixel 3 yet, but because of the Pixel 2 and the Pixel 2 XL’s performance, expectations for the next installment are high — but within good reason. Google Pixel 2 is among the best phones on the market today, with its excellent cameras, snappy performance, and tight Android integration. Google has loads to offer, and we have our fingers crossed that our expectations won’t fail us. We can all remember the days when everybody and their mom owned foldable phones and flaunted them around like they were nobody’s business. Every diva seemed to pull off the flip-your-phone-closed-and-chuck-it-into-your-purse maneuver as if they were born doing it. The Samsung Galaxy F launch has been circulating in the rumor mill for years. And the leaks just keep dripping. Its rumored foldable, flexible, and bendable quality is what will cement it in the history of eye-catching smartphones ever. There isn’t a word of an official Galaxy F release date yet, but critics and techno enthusiasts all have a clue on what it is and when it’ll launch. It’s currently expected to feature a 7.3-inch OLED screen and folds compactly — like a wallet you tuck into your pocket. There’s no word on screen resolution yet, but of course, enthusiasts are expecting a resolution higher than HD. The Red Hydrogen One was initially set to release two months ago, but company founder Jim Jannard had to push back the phone’s release for a couple more months. With its final release date set this November, we have our fingers crossed. The multiple release-date push-backs better not disappoint. Unlike your every other smartphone out in the market today, the Red Hydrogen One focuses more on image and video capturing; also providing support for augmented and virtual reality without headsets. The modular smartphone’s marquee feature is a holographic display capable of showing off 3D content. But it seems its capabilities are overshadowed by people thinking about how ridiculous the new phone model looks. It dwarfs the iPhone 7 Plus and the OnePlus 5 in comparison. Not to mention the fact that it looks kind of bulky. But we’re hoping the specs on this thing will overpower its unconventional design. Rejoice, gamers! The gaming-centric phone everyone wants is coming in winter 2018. With its six-inch AMOLED display and a Snapdragon 845 processor speed-binned to boost the clock speed, Asus’ ROG Phone definitely makes it into our most eye-catching smartphones list. Along with a backlit ROG emblem and USB Type-C ports at the bottom and the side of the phone, the ROG is all set to support different types of accessories. And speaking of accessories, Asus is also planning to make a bunch of them, especially for the ROG Phone. It’s the phone that gamers would drool over, and it’s the device that could potentially give gaming consoles a run for their money — if it meets every expectation that is. Quite a throwback from the old days where our phones were massive handheld devices sporting square-shaped screens and funky keypads. It’s a blast from the past, and there’s nothing humans love more than nostalgia. But wait, there’s a spectacular twist to it. It’s not as fancy or sleek or very modern like the others, but it’s capable of running a special version of Gmail, Google Maps, and Facebook on KaiOS. Basically, it’s a phone advisable for your 8-year old daughter begging to have one. It has its merits, and it definitely caught our eyes. These five eye-catching smartphones are all slated to hit the market late this year or next year, 2019, completely. And with innovations and nostalgic remembrances like these, we can’t wait for what’s in store in the foreseeable future. Want more articles concerning our latest technology? Just keep looking through Scoopfed.